It’s International Otter Awareness Day! 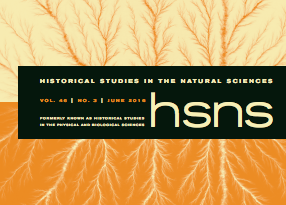 In honor of our semiaquatic, aquatic, and marine friends, we’ve posted a particularly otter-centric excerpt from Serendipity: An Ecologist’s Quest to Understand Nature. 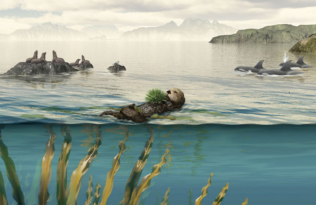 The book chronicles acclaimed ecologist Jim Estes’ otterly important early research of sea otters and kelp forests off the coast of Alaska, and how that research would eventually inform his entire career. Read more below, and click here to learn about IOAD events happening today around the world. “Not the end of the world but you can see it from here” were the first words I saw as I exited the DC 6 aircraft at Shemya and entered a small building with my colleagues and a few other travelers, most of whom were in transit back to Anchorage. After the plane and passengers had departed, a surprised-looking airman asked why we hadn’t left with them. When I told him we were the biologists from Amchitka, he went on high alert. We were taken to a small, windowless room and put under armed guard while the Air Force tried to sort out what was going on and what to do with us. My colleagues and I thought it was funny but the guards didn’t share our humor. Eventually we were taken to see the base commander, a serious-looking full-bird colonel who was clearly put out by our presence and not someone to be trifled with. The colonel glared at us from across his desk, telling us that while he had confirmed our authorization to visit Shemya, he also considered us a risk to military security and a threat to morale. But after this initial bluster he warmed and seemed to soften, expressing interest in what we were studying and offering to show us around the island. Finally, at the end of the day, we walked to the shore for a brief look around. In the fading light I was struck by two observations—the numerous tests of beach-cast sea urchins that were much larger than anything I had ever seen dead or alive at Amchitka, and a green hue to the beach sand. These were the first hints that sea otters mattered, and that I was on the track of something exciting. The next day we were up early. John and Charlie prepared for a visit to the rocky shore while Phil and I geared up for a dive. We had to assemble and inflate the skiff, find some gasoline for the outboard motor, fill the scuba tanks, and locate a safe place to launch. The wind and sea were calm and so on this first dive we decided to simply swim out from shore. Although the water was clear, I couldn’t see the sea floor until I slipped into the water and dropped below the surface. When I looked down at the sea floor, I was stunned by the vast numbers of urchins and absence of kelp. I looked at Phil and saw what struck me as an incredulous, impish grin. I swam out into deeper water and then a short distance up and down the shore, trying to get a sense of whether what I was seeing was unusual or typical of the area. Every place I looked was the same—large and abundant sea urchins over a seafloor of crustose coralline algae with little or no kelp. After almost a year of diving at Amchitka, I immediately understood why Shemya was so different. In the absence of sea otter predation, sea urchins had increased in size and numbers, and the larger and more abundant sea urchins had eaten the kelp. This was my “aha” moment, a profound realization that would set a path for the remainder of my life. I sat up most of the night, thinking and jotting down notes about what I had seen and what it meant. My mind was buzzing with ideas but the immediate problem was to document what I had seen at Shemya in an objective and rigorous manner. I had 5 days left to work at Shemya and the notoriously unpredictable Aleutian Islands weather might turn for the worst at any time. My plan was to measure the density and size structure of the sea urchin population and the percent cover and species composition of fleshy macroalgae at 3 depths—10, 30 and 60 ft. I would do this at several sites, time and weather permitting. 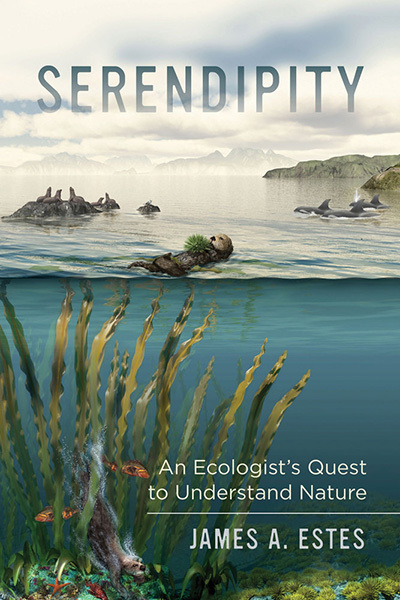 New book by ecologist James Estes recounts pioneering research in Alaska Serendipity: An Ecologist’s Quest to Understand Nature Natural History and National Wildlife Day ESA 2014 Is Coming to California!